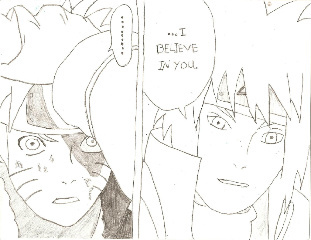 I Belive in you...Naruto.. I read the 망가 and since I am an minato fangirl I had to draw it!. Wallpaper and background images in the 아니메 club tagged: anime naruto minato fourth hokage manga.